As Sylvester Stallone preps to star in a fifth Rambo movie, Lionsgate is readying a trio of 4K releases that will bring the Green Beret back into home theaters and living rooms. 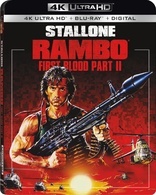 Coming on November 13th 2018, First Blood, Rambo: First Blood II, and Rambo III are all being re-released in the UHD format. Check out the specs below. Yet, still no word on the 2008 film, Rambo. Hopefully, we'll see an eventual 4k disc to complete the set. Synopsis: He never fought a battle he couldn't win–except the conflict raging within his own soul. 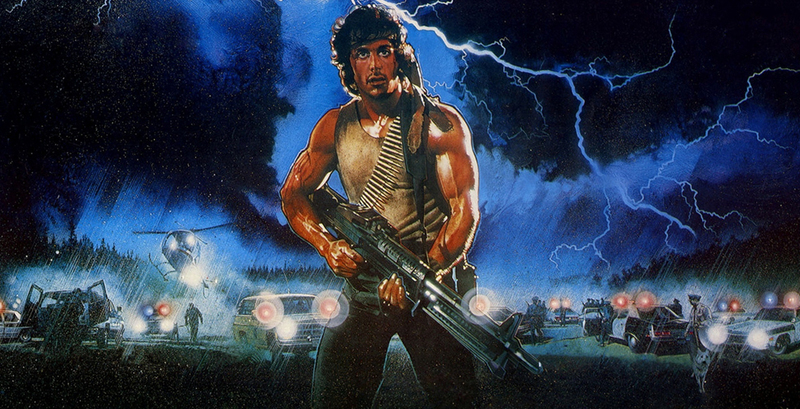 Academy Award®-nominee Sylvester Stallone stars as war hero John Rambo. An ex-Green Beret haunted by memories of Vietnam, he was once the perfect killing machine. Now he's searching for peace, but finds instead an over-zealous, small-town sheriff who's spoiling for a fight. All hell breaks loose when an unjustly imprisoned Rambo escapes and becomes the target of a massive manhunt. Now he must use all his cunning, combat skills and weapons training to stay alive and outwit his pursuers. Co-starring Brian Dennehy and Richard Crenna, First Blood is an explosive action-thriller that will keep you on the edge of your seat until the final, powerful frame. Synopsis: He's back! 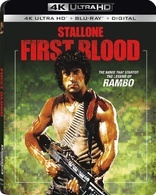 Superstar Sylvester Stallone is John Rambo, the ultimate action hero, in this explosive Oscar-nominated sequel to First Blood that boasts a riveting screenplay by Sylvester Stallone and James Cameron (Titanic). Although the Vietnam War is officially over, Rambo remains the perfect fighting machine. But his survival skills are tested with a vengeance on a top-secret mission that takes him back to the jungles of Vietnam in search of American POWs. For when Rambo is double-crossed, this "expendable" hero, armed with just a bow, arrows and knife, must defeat savage enemies equipped with deadly firepower. Synopsis: The battle rages on as superstar Sylvester Stallone detonates the third blast in the action-packed Rambo series. 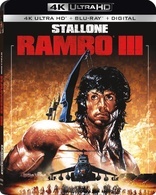 Combat has taken its toll on John Rambo (Stallone), but he has finally begun to find inner peace inside a monastery — until his friend and mentor Col. Sam Trautman (Richard Crenna) shows up to ask for his help on a top-secret mission in Afghanistan. A war-weary Rambo declines, but when Trautman is captured, Rambo erupts into a one-man firestorm to rescue his former commanding officer and decimate the enemy. It's an intense, pulse- pounding adventure that boasts unrelenting action and suspense from start to finish!